team because Pak team loose all previous 4 Matches from India in World Cup.This Semi Final of both teams is called Super Semi final or Most Pressure Match of this season because both team a lot of pressure from their Nations and crazy fans .Both teams want to win this mega match .Which team win this match have more chances to lift the Cricket World Cup 2011. 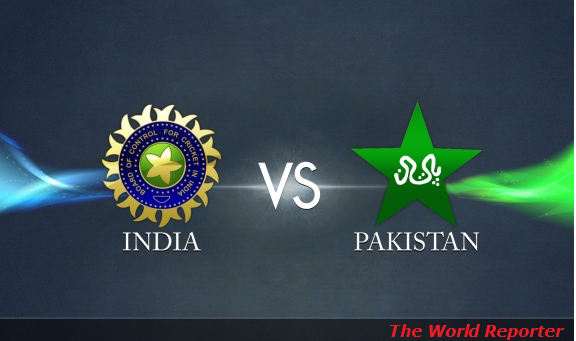 Both team have much time for preparation for this mega match .Indian have strongest Batting line and on the other hand Pakistan have Strongest Bowling side . Tendulker is on top in Leading Score Table with 379 Score and In Bowling Shahid Khan Afridi on top with 21 Wickets so its a most challenging competition for both teams. From Indian Side Sachin Tendulker , Virender Sehwag and Yuvraj Singh is in full form and become the real threats for all other teams. From Pakistan Side Shahid Afridi , Umer Akmal and Abdull Razzaq are in dangerous form for other sides . Indian Captain Dhoni Said that its pressure game and most pressure on our side but our player better know to how handle it.we beat Pakistan dangerous team if our player bear this pressure with ease. And on the Other hand Pakistan Team Captain Shahid Khan Afridi Said that we want to play with India and want to change the history against Indian side in the World Cup.India is most Favorite team for World Cup but Our Boys prove that Pakistan Cricket Team beat any side in World Cup.and We hope for best in match. India Squad: MS Dhoni (capt & wk), Sachin Tendulkar, Virender Sehwag, Gautam Gambhir, Yuvraj Singh, Suresh Raina, Virat Kohli, Yusuf Pathan, Harbhajan Singh, Praveen Kumar, Zaheer Khan, Ashish Nehra, Munaf Patel, Piyush Chawla, R Ashwin. 1-SachinTendulker (IND): Top Batsmen with 379 Runs in this tournament. 3-Umer Gul (PAK): Great Bowling and Pace against All teams in World Cup. 4- Virender Sehwag (IND): On 3rd Position With 342 Score . 5- Yuvraj Singh (IND): Most Man of the Matches in World Cup and really Threat with in his Bowling and batting for other teams. 6- Shoaib Akhtar (PAK):Speed Star have last Tournament So expected Good in this match if played.